I've designed several paint schemes (or liveries, as they say in the U.K.) for various road racing teams. 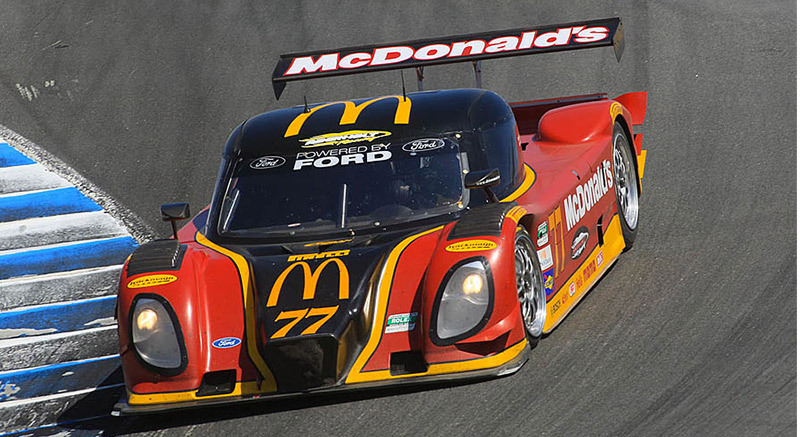 Included below are some samples I designed for the McDonald's Rolex Grand Am series teams which ran the Ford powered Daytona Prototype style Dallara chassis in the 2009 and 2010 seasons. 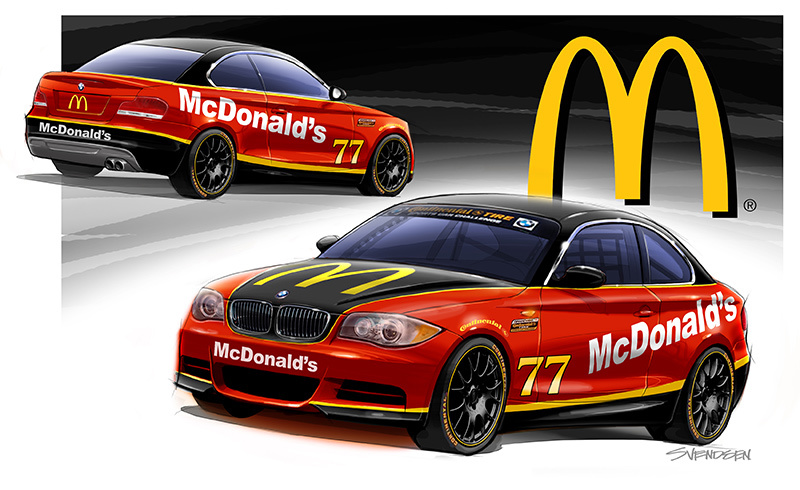 The McDonald's team also ran a BMW 128 in the Continental Tire series. 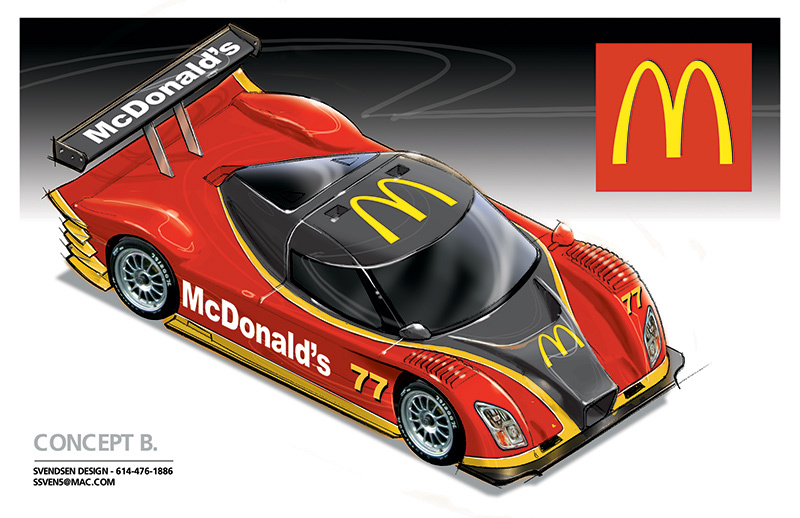 In addition to the cars, I also designed the artwork for the racing transporter and the team / driver uniforms.